Beard, CB, et al. MMWR Morb Mortal Wkly Rep. 2018;doi:10.15585/mmwr.mm6747a3. 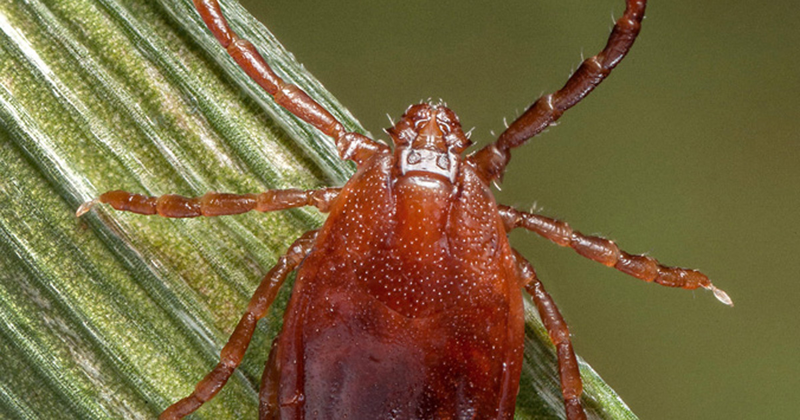 The Asian longhorned tick (Haemaphysalis longicornis) has been reported in nine total states since it was first discovered on a sheep in New Jersey in August 2017, according to an MMWR report. The MMWR report written by Beard and colleagues followed closely an announcement by the CDC that the number of tickborne disease cases in the U.S. reached an all-time high in 2017, which came on the heels of another report last spring showing that vectorborne diseases tripled in the U.S. from 2004 through 2016 and that seven new tickborne pathogens had been discovered in that time. As a vector in Asia, H. longicornis transmits diseases to human and animals, which can result in hemorrhagic fever in humans and reduction in dairy production in cattle by 25%, according to Beard and colleagues. Although there has not yet been a reported case of disease spread by H. longicornis in the U.S., Asian studies found ticks infected with pathogen groups that circulate zoonotically in the U.S., including Anaplasma, Babesia, Borrelia, Ehrlichia and Rickettsia, Beard and colleagues reported. Male H. longicornis ticks are rare, but females can produce offspring without mating and a single female can result in a massive host infestation numbering in the hundreds to thousands of ticks. The Asian longhorned tick has been reported in nine states. Since its discovering in New Jersey, H. longicornis has spread to eight other states: Arkansas, Connecticut, Maryland, North Carolina, New York, Pennsylvania, Virginia and West Virginia. Prior to 2017, the ticks were intercepted at least 15 times on imported animals and materials at U.S. ports of entry, Beard and colleagues said. From August 2017 through September 2018, enhanced surveillance efforts identified 53 reports of H. longicornis in the U.S. — 38 (72%) from animal species, including 23 (61%) from domestic animals, 13 (34%) from wildlife and 2 (5%) from humans, according to the report. A further 15 reports came from environmental sampling of grass and other vegetation using cloth drags or carbon-dioxide baited tick traps. The ticks were not tested for pathogens, Beard and colleagues said. According to the report, back testing of archived samples showed that the infestation began much earlier than 2017: Ticks collected from a deer in West Virginia in 2010 and from a dog in New Jersey in 2013 were retrospectively identified as H. longicornis.